HomeWelcome to Pro-Tech Consultants Home Inspections in Lexington MA! Welcome to Pro-Tech Consultants Home Inspections in Lexington MA! Let Us Give You The Peace Of Mind You Need When Making The Decision Of A Lifetime! The inspection is only as good as the home inspector performing it! Owner and principal inspector, Wayne E. Robbins, has over 20 years of home inspection experience. His primary objective as a licensed MA home inspector is to work as hard as he can to minimize the chances that your dream home does not turn out to be a nightmare. Prior to the establishment of Pro-Tech Consultants, Wayne operated a building and remodeling company, which gave him a vast amount of knowledge and experience that has proven invaluable in the area of home inspections. Consistently Wayne is a top rated home inspector on Google, BBB, Yelp & Angie’s List. For numerous satisfied clients Wayne is the best home inspector. “Lexington can be a wonderful place to live with so much to offer! Rich in history yet vibrant with life and activities of today! But you don’t need us to tell you that for you have already driven or walked about and got a sense of what makes Lexington the place you want to live. For your benefit we have provided further information that you may find helpful”. Lexington, Massachusetts, in Middlesex county, is 4 miles N of Waltham, Massachusetts (center to center) and 10 miles NW of Boston, Massachusetts. The affluent suburban community is known for being the location of the Battle of Lexington, the initial battle of the American Revolution. It’s a popular tourist destination which features numerous historic buildings, houses, monuments and parks with most going back to the Colonial and Revolutionary days. The town center includes numerous restaurants, shops, fine art galleries and the Depot Square. 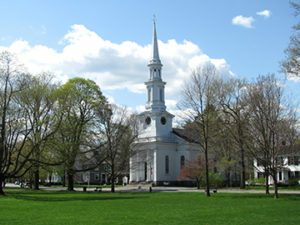 It was settled in 1642 as the Cambridge Farms parish of Cambridge Massachusetts. Lexington was incorporated as a town in 1713. In the beginning, Lexington was a farming community. Throughout its history the downtown has been an active location. Lexington was the site of the initial battle of the American Revolutionary War. The city prospered by being close to Boston. During the 1960’s and 1970’s the population significantly increased due to the region’s high-tech boom. Median gross rent in 2015: $1,813. 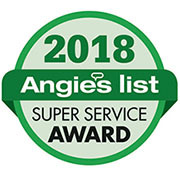 Angie’s List Super Service Award! Northeastern University Certificate, click to view!